Do you love Kimberbell Embroidery Designs? Do you love in-the-hoop projects? 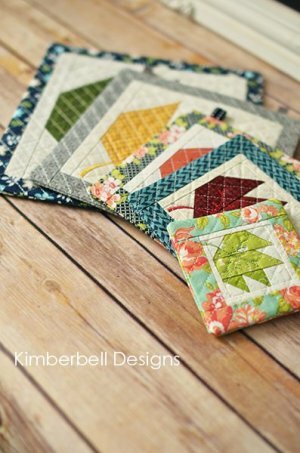 Join SWI for SIX new classes featuring Kimberbell projects! Each project will feature multiple techniques used in in-the-hoop embroidery! The monthly embroidery designs and projects are designed with all skill levels in mind and all machine brands are welcome! Each month features a new design, a new project and a new skill to learn! You will receive the embroidery designs (ALL SIZES! ), written instructions (so you can make more!) and the fabric kit you will use in class. You will need to bring your embroidery machine, a USB stick, thread, and general sewing supplies. We have a few surprises up our sleeve for each class so don’t miss out! 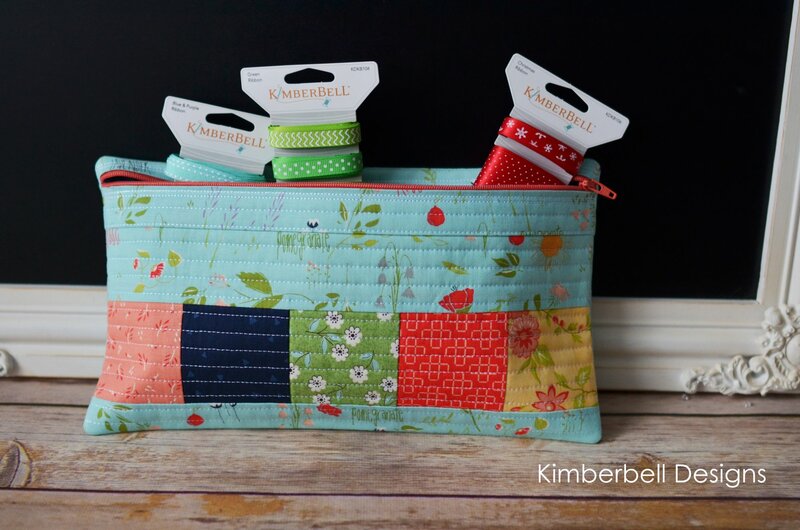 The combination of a simple patchwork strip with contemporary techniques like quilting in-the-hoop, gives this pouch a subtle sophistication in 4 sizes! 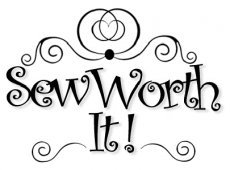 Just right for sewing notions, makeup, and other essentials! 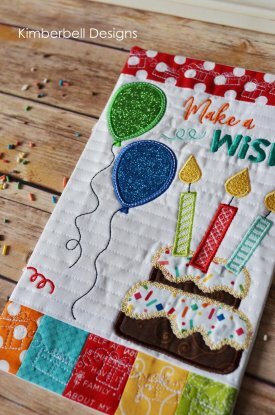 This adorable Happy Birthday wall hanging is sure to make someone you love smile! 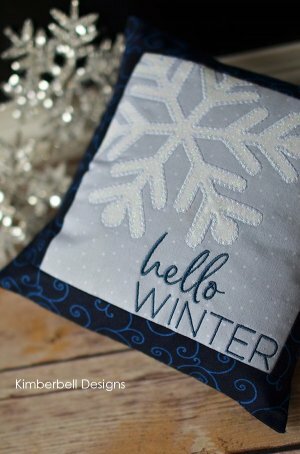 This project can be made in 3 sizes and has all the features we love about quilting and applique! 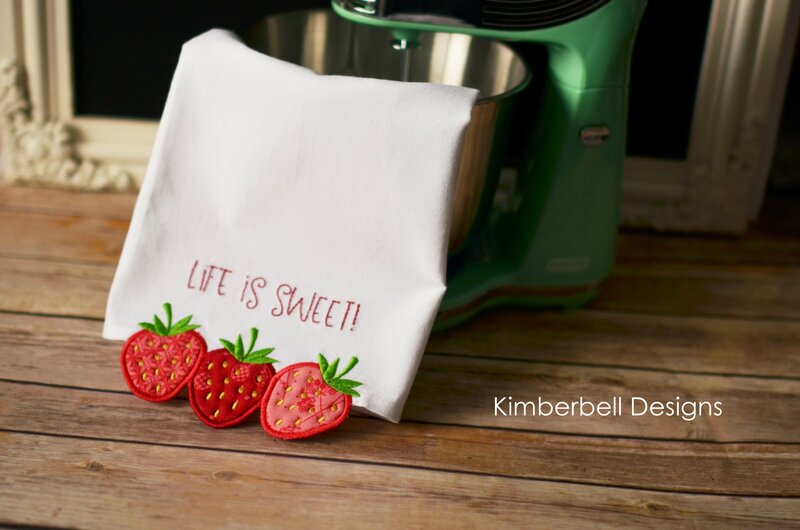 This delightful tea towel captures all of the cuteness of a red ripe strawberry! With innovative technique for over-the-edge applique, fabric is placed on both the front and back of the tea towel hem. Enjoy every delicious stitch! 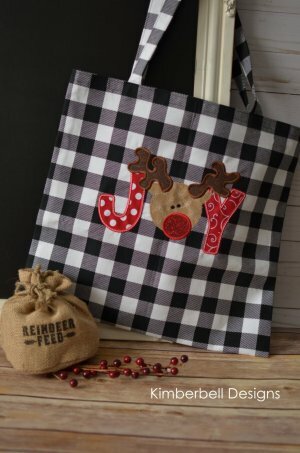 With a nose made of glitter, this handsome guy spreads Christmas merry in a tote big enough for packing plenty of reindeer games. This buffalo check tote comes without the side seams sewn up so it’s easy to hoop the nag itself, then add this adorable embroidery! This winter Bench Buddy welcomes the season with a snowflake made of white applique glitter. Pieced borders are added after embroidery on your sewing machine to make the cover just right for an 8” pillow form. 2020 Embroidery Classes will be released Fall 2019!